I have a frenetic week planned: I’m heading to the local Farmers Market to buy flowers and fresh ingredients for the four-course meal I’m cooking today, then heading to the bylanes of Bangalore to pick up clay lamps and festive lights. I’ll also be making a pit stop at my favorite jewellers to buy some gold. I assure you, this is not normal for me. But for this one week every year, I have a never ending smile on my face. It’s going to be Diwali soon, the Hindu festival of lights. But not so long ago, this annual week of celebration was a natural part of my growing up life. 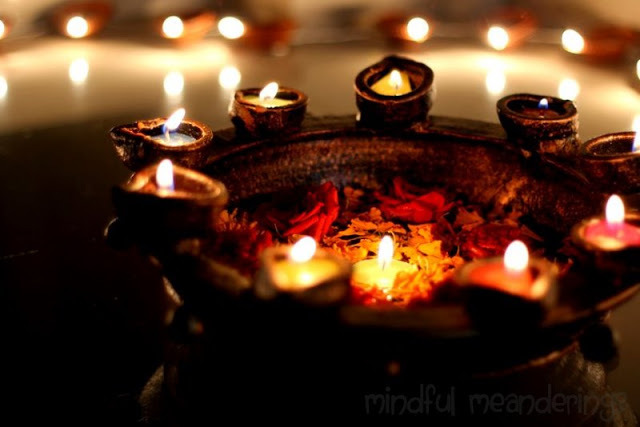 Diwali brings back myriad memories from my childhood. As children, all 21 of us cousins would take the train and converge at our ancestral home where our Grandparents lived. Deepavali or Diwali literally means ‘a row of lamps‘ in Sanskrit. Diwali celebrates the return of Lord Rama, King of Ayodhya, with his wife Sita and brother Lakshmana from a 14-year exile and a war in which he vanquished the demon king Ravana. It was said that the whole city of Ayodhya was lit up with a million lamps to welcome the king. The festival celebrates new beginnings, the triumph of good over evil and light over darkness. Diwali is a national holiday in India and the celebrations are loud and colorful. As a family, we spent most of the week preparing the house by cleaning and decorating it before Diwali began. 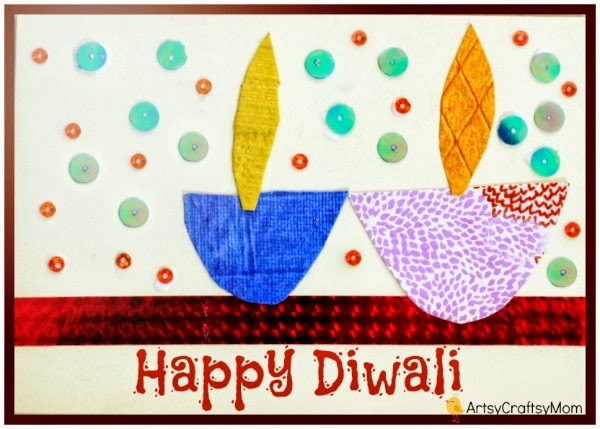 Intricate Diwali cards were made and sent to family living overseas. It’s was also time for activities that we could do as a family. Be it decorating, cooking, shopping or crafting. 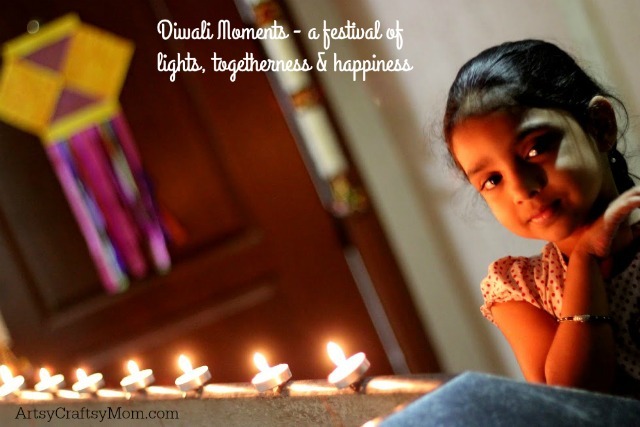 Here are 50+ Diwali ideas for you to try with your kids. The main part of any indian festival is its food. 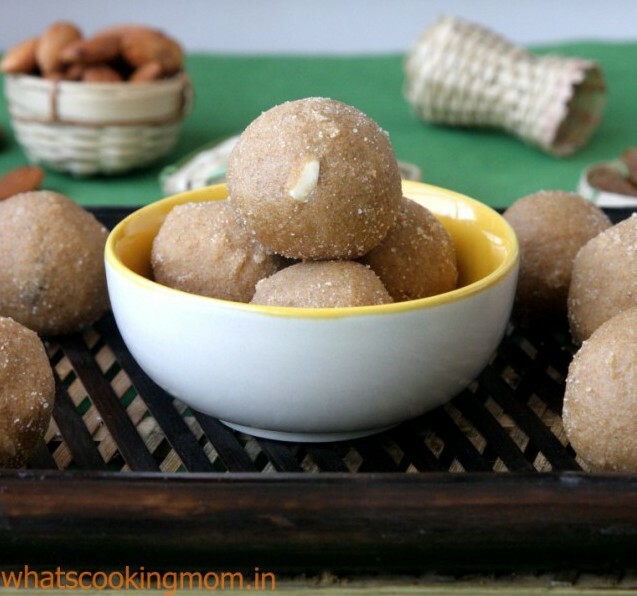 I’d eagerly anticipate my mother’s spiced aloo curry with deep-fried pooris, Kheer and Laddoo for Diwali dinner. I would love huddling for hours with my family to adorn our floors with intricate Rangoli patterns around the house to symbolically welcome Laxmi, the Goddess of Wealth. Diwali meant sitting on my grandma’s lap reading the Ramayana. From dozens of bright lights at my house entrance; to clay diyas, string lights & colorful urlis (earthern pots) distributed in each room around my house, the festive season was visible everywhere. I can still vividly remember the smell of incense, the acrid smell of burning crackers, the aromas coming from the kitchen. After the evening Laxmi puja and dinner, fireworks would follow. Fireworks boomed, bulbs flashed, and flames flickered as the whole neighbourhood would come out to enjoy the scene. As each one of us watched in wonder, Diwali gave us the gift of togetherness, happiness,teamwork, connecting to our roots and most importantly of memories that would last us a lifetime. 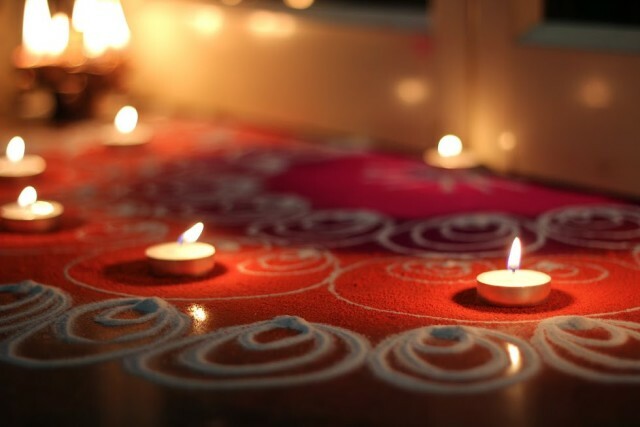 What are some of your favorite Diwali moments? 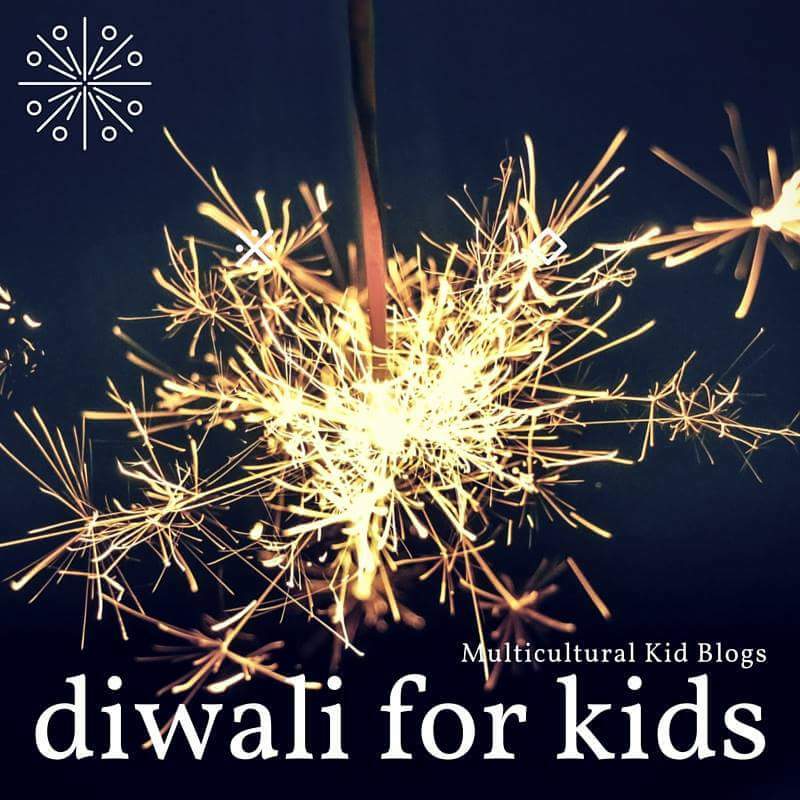 This story is part of our ongoing Diwali for Kids series. Stop by our main page to see the full schedule of posts and link up your own! A lovely post, I really enjoyed how you shared your childhood memories. Thank you for this Shruti.